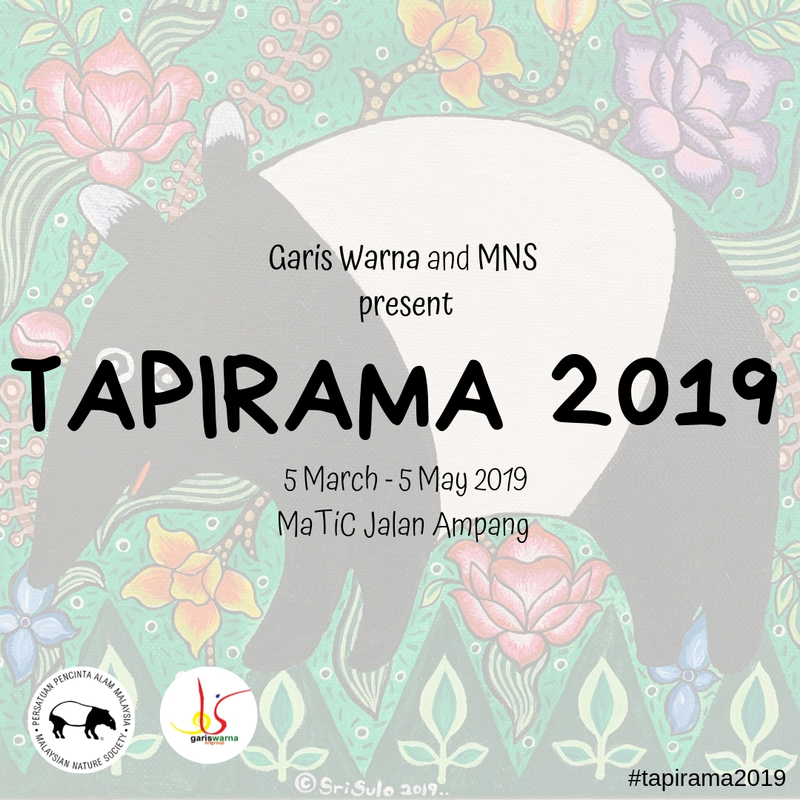 MNS is currently collaborating with Garis Warna in organising an art exhibition called ‘Tapirama’ where the Malayan Tapir is the sole focus. 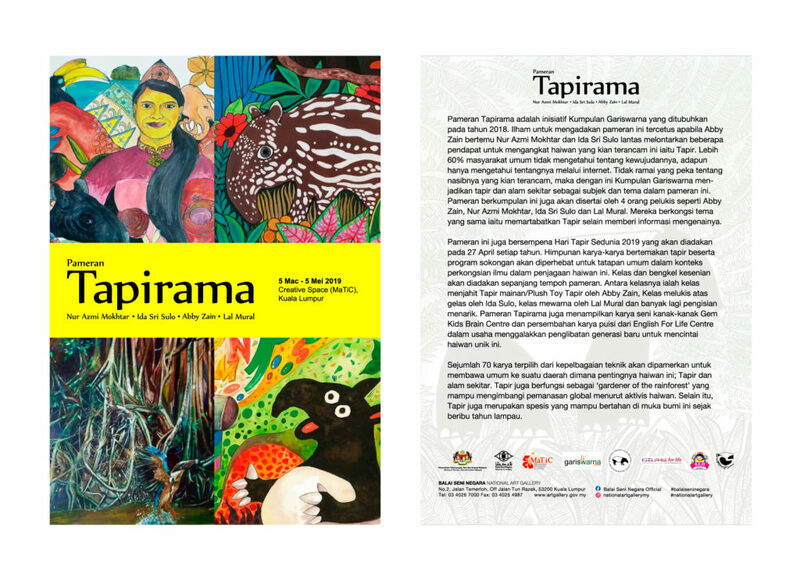 The main objective of this event is to attract MNS members and the general public to learn more about the Malayan Tapir through visual arts, In addition that that, the exhibition also aims to raise funds for conserving this unique species. For each art piece sold, 20% will be donated to MNS for its Conservation, Education and Public Awareness activity. Here’s the link to available artwork for sale. Our local artists such as Abby Zain, Lal Mural, Ida Sri Sulo, and Nur Azmi are displaying their work by expressing their love of nature using tapir as their subject. “As artists, we create one nature way of expression… Tapir is unique, and they are underappreciated. They have a special role in our ecosystem” said Abby who emphasized that we need support from the public to ensure that our tapirs remain protected. Aside from that, we also have artworks done by children from English For Life and Gem Kidsbrain.